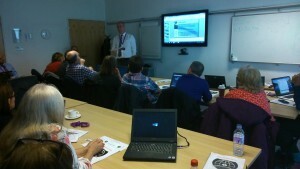 I’m speaking today at a workshop, in Glasgow, organised by Education Scotland. The event is intended to raise awareness of the Cyber Security Badge, designed by Kyle Academy and Police Scotland, and the new NPAs in Cyber Security. There was a fantastic turnout, with standing room only at the event. There is clearly a lot of interest in this area. I opened the workshop with an explanation of what’s in the new awards. You can see my presentation here. It seemed to be well received. A surprising number of people at the event (around one third) intend to offer the qualification from August, and everyone said that had plans to offer it soon or later. So, it looks like it will be a popular award. 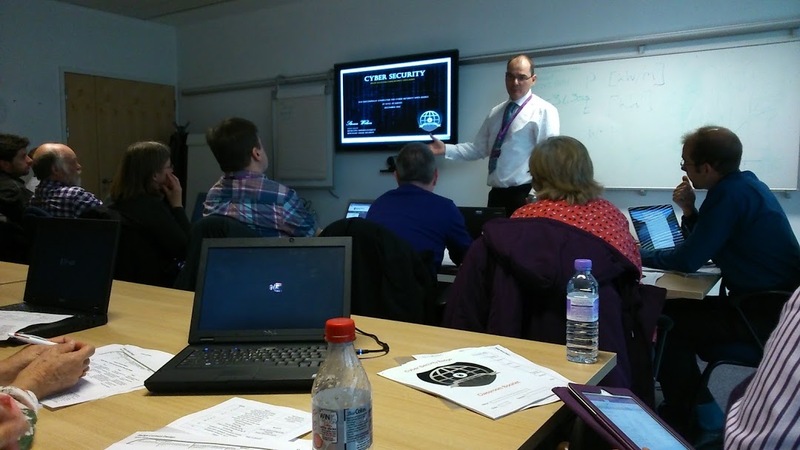 In addition to my own talk, Scott Hunter, of Kyle Academy, spoke about the Cyber Security Badge that he created along with Police Scotland. Scott showed some the teaching materials that he has used to deliver the Badge this year. And Steven Hunter, of Police Scotland, explained the growing tide of cyber crime and the importance of cyber security education in Scotland. Steven emphasised the vital importance of getting more people interested in careers in this field. You can download the qualification FAQ here. Or contact Helen Zhang if you want to know more about this new award and/or see early versions of the Group Award Specification and Unit Specifications. In addition to the new qualifications, we are also producing a new stand-alone National Unit entitled Cyber Security Fundamentals suitable for all learners. You can see the current version of that Unit here. The new NPAs and the new NU will be available to centres from 1 August. We are looking to offer this qualification as an option on the senior Course Choice sheet and I wonder if you can tell me if there are any materials available?